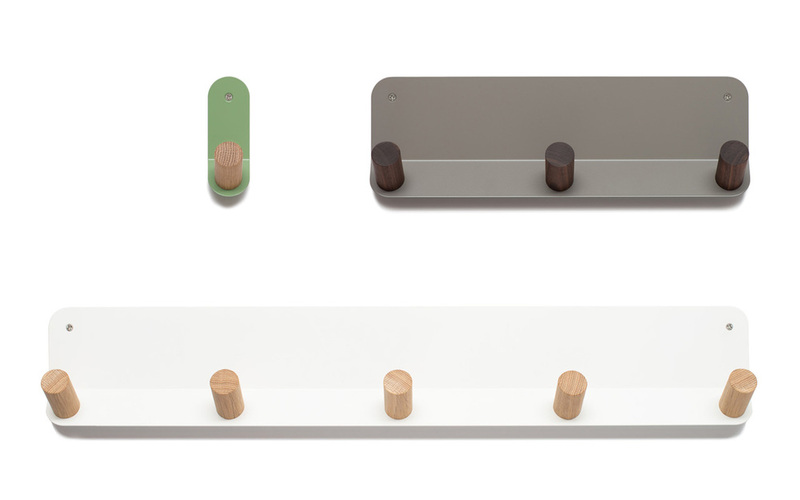 Plane is a minimally designed wall hook that adds function, refinement and warmth to any room. The bent, laser-cut steel mounts flush to the wall and supports 1, 3 or 5 angled wooden pegs. Unlike the thin metal coat hooks on the market, the 1" thick wooden dowels will not crease, stretch or damage your wardrobe overtime. Plane is a modern family of coat hooks that respects your style and is proudly made in the USA with North American hardwoods. Available in a range of durable powder-coated finishes with white oak or walnut pegs, Plane seamlessly fits into residential and commercial environments. Plane is laser cut from cold rolled steel, bent and powder-coated in Northern California. The wooden dowels are sourced from sustainably managed North American forests and the pegs are cut and finished in Fire Road’s San Francisco shop.